GLOBAL - The world today confronts a water crisis with critical implications for peace, political stability and economic development, experts warn in a new report issued jointly by the InterAction Council (IAC), a group of 40 prominent former government leaders and heads of state, United Nations University, and Canadas Walter and Duncan Gordon Foundation. The future political impact of water scarcity may be devastating, says former Canadian Prime Minister and IAC co-chair Jean Chrtien. Using water the way we have in the past simply will not sustain humanity in the future. The IAC is calling on the United Nations Security Council to recognize water as one of the top security concerns facing the global community. Starting to manage water resources more effectively and efficiently now will enable humanity to better respond to todays problems and to the surprises and troubles we can expect in a warming world. In her foreword to the report, The Global Water Crisis: Addressing an Urgent Security Issue, IAC member and former Norwegian Prime Minister Gro Harlem Brundtland, underlined the danger in many regions, particularly sub-Saharan Africa or West Asia and North Africa, where critical water shortages already exist. As some of these nations are already politically unstable, such crises may have regional repercussions that extend well beyond their political boundaries. But even in politically stable regions, the status quo may very well be disturbed first and most dramatically by the loss of stability in hydrological patterns. In an exhaustive compilation of the many factors contributing to deteriorating water security worldwide, 23 eminent international water expert authors identify a host of serious security, development and social risks associated with the water crisis, including food, health, energy and equity issues. 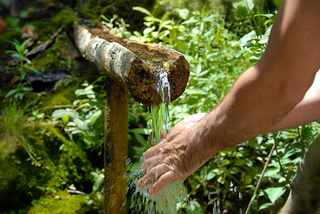 Already, approximately 3,800 cubic kilometers of fresh water is extracted from aquatic ecosystems globally every year. With about 1 billion more mouths to feed worldwide by 2025, global agriculture alone will require another 1,000 cubic km (1 trillion cubic meters) of water per year - equal to the annual flow of 20 Niles or 100 Colorado Rivers. It is expected that water demand in India and China alone - the worlds two most populous countries will exceed supplies in less than 20 years. The report anticipates new conflicts caused by changes in fundamental hydrology, with both water scarcity and flooding expected to become major trans-boundary water issues. Water security is key to peace between the Palestinians and Israelis, and between Israel and its regional neighbours, the report adds. 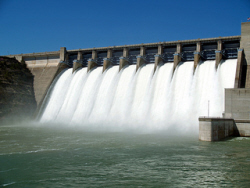 It also notes that in 1950, there were 500 large dams on the planet; today, there are over 45,000. This translates to a staggering average of two large dams added daily worldwide since the Korean War. Meanwhile, greater competition between the energy sector and other water users for already limited freshwater resources in many world regions will impact future energy development, with significant potential impacts on energy reliability and security. Underline the need among government and finance leaders to understand the relationship between clean, safe water and health, development and national economic well-being. Water security is the foundation for food and energy security and for overall long-term social and economic development. It underpins health, nutrition, equity, gender equality, well-being and economic progress, especially in developing countries but increasingly in some of the worlds most developed countries. Zafar Adeel, Director of the United Nations Universitys Canadian-based Institute for Water, Environment and Health said: "The main challenge facing the agricultural sector is not so much growing 70 per cent more food in 40 years, but making 70 per cent more food available on the plate. Reducing losses in storage and along the value chain may go a long way towards offsetting the need for more production. "Although projections vary considerably, the UN Food and Agriculture Organisation estimates an 11 per cent increase in irrigation water consumption from 2008 to 2050," he notes. "This is expected to result in a roughly five per cent increase of water withdrawals for irrigation. Although this seems a modest increase, much of it will occur in regions already suffering from water scarcity, he says.